Tigers, hammerheads, bulls, lemons, Caribbean reefs, nurse, and black tips are just a few of the species that attract divers, film crews, and scientists from across the globe to the crystal clear waters of The Bahamas. Known for its amazing shark diversity, The Bahamas is also no stranger to shark research, education, and conservation. The first Shark Free Marina in the world was established in The Bahamas and in July 2011 approximately 243,244 square miles were established as a shark sanctuary. International organizations have shined a light on protecting sharks in these islands, but the locals have been integral in making their voices heard about the desire and need to protect these animals. 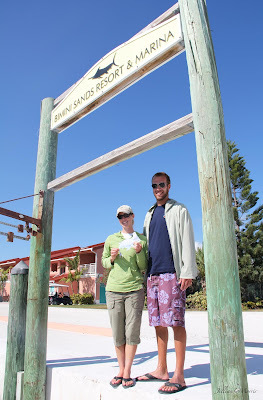 My husband Duncan and I spend a lot of time on two tiny little islands in the northern Bahamas known collectively as Bimini. Despite being small geographically, Bimini is big on setting a standard for shark conservation and education. The South island is home to the first Shark Free Marina as well as the world renowned Bimini Biological Field Station (Sharklab). 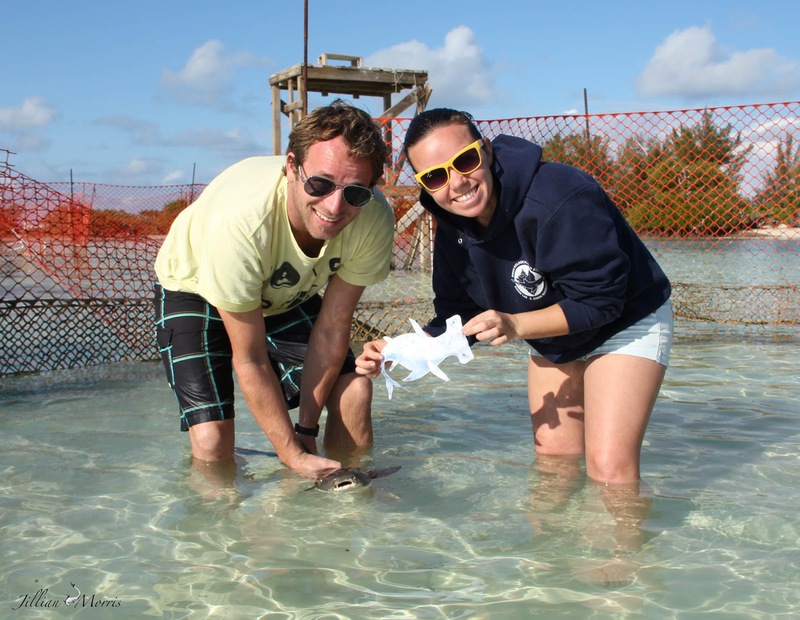 Groundbreaking shark research continues under founder Dr. Samuel “Doc” Gruber and director Dr. Tristan Guttridge. Years of invaluable data has been collected and been instrumental in establishing legislation and regulations regarding protection of various species. I was excited to share Bimini with Shark Stanley and knew he would get a warm welcome. My husband and I run a conservation media company called Oceanicallstars and we were Stanley’s first friends. 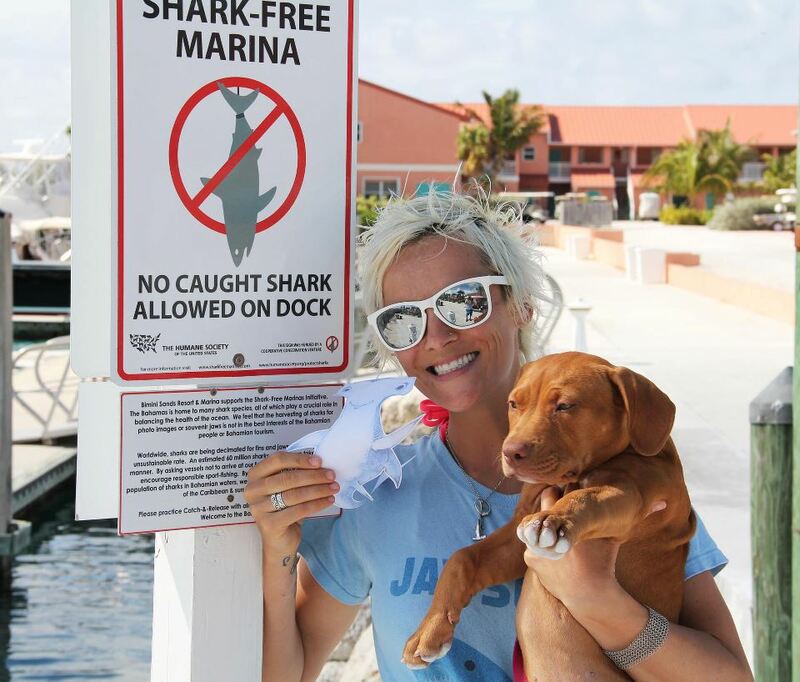 He posed with us next to the Shark Free Marina sign at the Bimini Sands and then headed out to meet some more amazing people. Grant Johnson and Katie Grudecki are former Sharklab managers who now run eco-tours for the Bimini Sands and they were happy to snap a picture with Stanley. They educate guests about the ocean as well as the amazing mangrove forests so many animals, both above and below the surface, rely on in Bimini. Juvenile lemon sharks use the mangroves as a nursery area and this habitat is being threatened. It is all connected and people must realize how import saving wild habitat is. Even our puppy Lusca and my world-traveling shark Monty wanted to get their picture with Stanley. Stanley was also happy to meet a few of the local students who love the sharks that are literally in their backyard. It is crucial for the next generation to know they have a voice and they can make a difference on behalf of the animals and the environment. These students should be proud to be Biminites and proud of the work their tiny little island is doing to save sharks. Stanley will continue to go on more adventures with us and hopefully meet some more sharks!